Averil Colby was the first honoree to be inducted into The Quilters Hall of Fame from the United Kingdom. Excellence in needlework was part of a girl's education in the days of Averil's youth but she felt quilting demanded a greater needle skill than she possessed so she did not do quilting in her early life. As she neared the age of 60, a London publishing firm asked her to write a book on patchwork. Her first book, Patchwork, published in 1958, describes the early history of quilts and contains illustrations of quilts dating back to 1708. Averil traveled throughout the country tirelessly researching for the book. Due to its popularity the book has been reprinted twelve times. Four more books were to follow: Samplers in 1964, Patchwork Quilts in 1965, Quilting in 1971, and Pincushions in 1975. Her books are classics and show the depth of her research abilities. 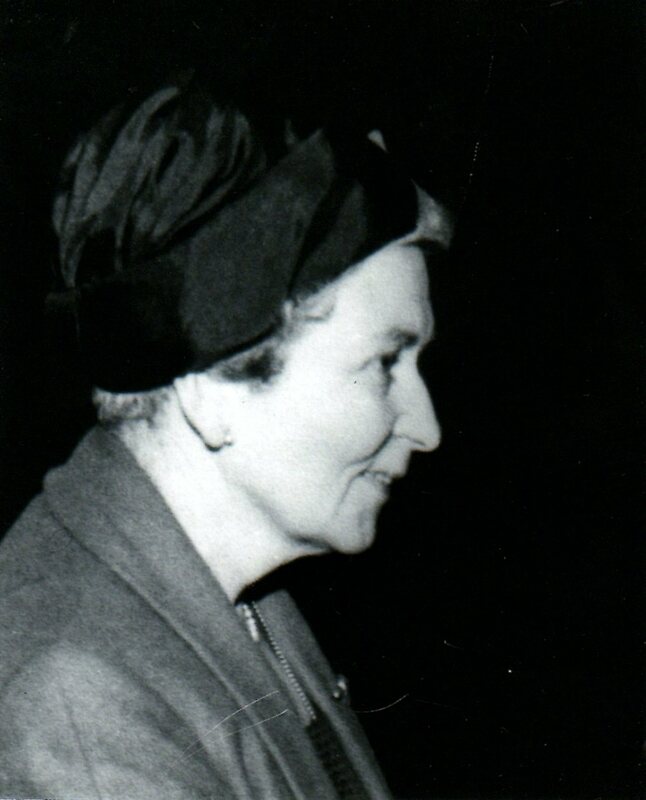 As chairman of the Handicraft Committee of the National Federation of Women's Institutes, Averil was instrumental in organizing courses, classes and exhibitions of handicrafts that helped reawaken an interest in quilting in the United Kingdom. She was a frequent visitor to the American Museum in Britain at Bath, to evaluate quilts new to the museum's collection or to research quilt for one of her books. Honoree Shiela Betterton, Keeper of Textiles at the museum, was Averil's friend for many years. In 1979, Averil Colby was named the first honorary member of the Quilter's Guild of the British Isles and she was inducted into The Quilters Hall of Fame in 1980. She died just three weeks short of her eighty-third birthday, on January 5, 1983. "Possibly this book may be the means of finding unknown work... and perhaps the patterns, and in many cases the humour,, of the best work we possess may stimulate the present generation to do likewise for the future ones. I hope so."